Oregon locals love watching jazz and rock musicians perform in taverns. Since many in the late ’60s found these pubs too expensive, so alternative venues like the Psychedelic Market coffeehouse, The Chase and Silver Skate became the teenybopper hangouts of the era. When the local band The Kingsmen became a phenomenon, more underground rock clubs sprung up across the city. Fast-forward to the present day, Portland has turned into a haven for indie bands. We at REDEFINE magazine are fond of creating various mixtapes. And since the Oregon gaming field is another promising industry due to the popularity of partycasino.com-sponsored WSOP achievers Joe Brandenburg and Jake Balsiger, we decided to dedicate a mixtape to pay homage to Portland’s casino culture. 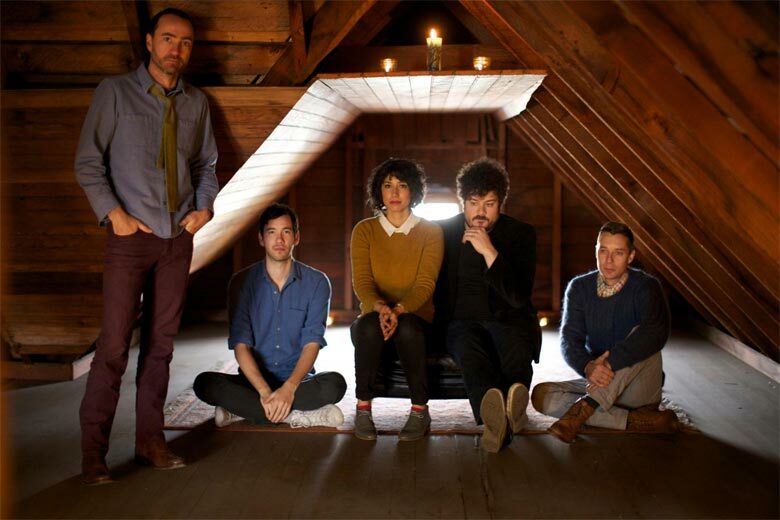 The Shins originally hailed from Albuquerque, New Mexico. By 2001, the band relocated to Portland. With their impressive resume of having their songs played in SpongeBob SquarePants the movie, and hit shows like The OC, Gilmore Girls, and most recently How I Met Your Mother, this indie pop rock group’s heart-on-your-sleeve lyrics are simply catchy and feel good. Thus, we recommend “Simple Song” which is perfect for lull moments while waiting for your turn in a poker match. This all-female pop rock quartet was formed during the summer of 1998, hence the self-explanatory band name. With their sweet syrupy vocals and tracks recorded in lo-fi, their quirky song “Later Operator” is fit while hitting the slots. Matthew Stephen Ward or commonly known as M. Ward, is a very talented singer/songwriter/multi-instrumentalist. His solo debut started in 1999 with the album “Duet for Guitars #2.” With this initial release, he began to collaborate with other artists such as Cat Power, Beth Orton, and Zooey Deschanel. His team-up with Deschanel later led to the creation of “She & Him.” With M. Ward’s solo efforts sounding a bit more relaxed compared to his other collaborations, his piano-infused song “Primitive Girl” is definitely meant for psyching one’s self up, while on the way to a blackjack match. Kevin O’Connor started collecting various keyboards (from Moog to Rhodes) and a live drum kit because of his affinity for synthesizers and percussion instruments. His friend, violinist Lisa Molinaro joined him in this venture thus, Talkdemonic was born. The duo specializes in avant-garde electronic music that leans on the experimental. Their epic-sounding “Revival”, is a song that can relax your mind after a full-day at the casino. For those who are into ’60s music, The Minders are the right band to listen to. Two of its members, Martyn Leaper and Rebecca Cole relocated to Portland back in 1998. Thus, a new quintet was formed after this move. Their song “Right As Rain” is very reminiscent of the early Beatles tracks, making it a great listen during tense moments in European roulette. With songs coming from some of the best independent bands in Portland, this mixtape we’ve created for casino playing is worth listening to.